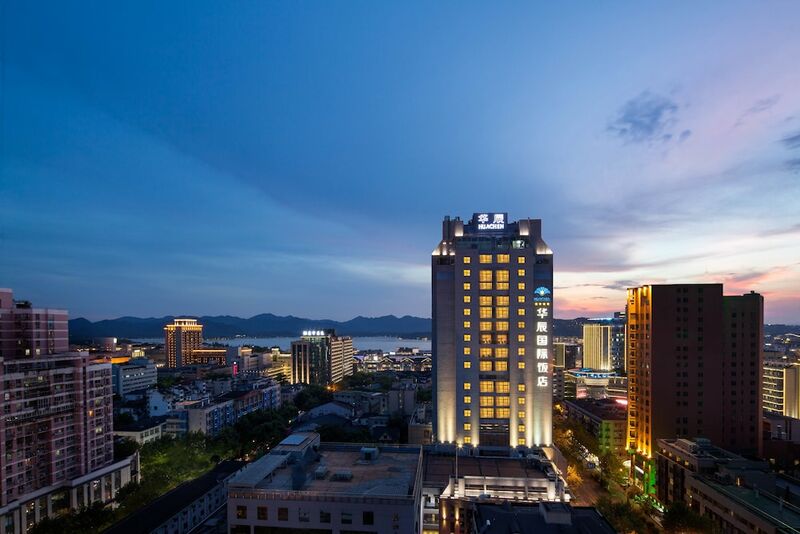 Situated on a lake, this hotel is within a 10-minute walk of Wushan Night Market and West Lake. Broken Bridge is 0.9 mi (1.4 km) away. Longxiangqiao Station is 5 minutes by foot and Ding'an Road Station is 13 minutes. Along with 2 restaurants, this smoke-free hotel has a coffee shop/café and a conference center. WiFi in public areas is free. Additionally, coffee/tea in a common area, a business center, and conference space are onsite. All 219 rooms feature thoughtful touches like minibars (stocked with some free items) and pillow menus, plus free WiFi, free wired Internet, and LCD TVs with digital channels. Other amenities available to guests include refrigerators, room service, and premium bedding. Dining is available at one of the hotel's 2 restaurants and guests can grab coffee at the coffee shop/café. Wired and wireless Internet access is complimentary. A business center is on site at this 4-star property. Event facilities measuring 11 square feet (0 square meters) include a conference center. For a surcharge, a roundtrip airport shuttle (available 24 hours) is offered to guests. This business-friendly hotel also offers a library, tour/ticket assistance, and coffee/tea in a common area. Concierge services and wedding services can be provided. Hangzhou Hua Chen International is a smoke-free property. Hangzhou Hua Chen International has 2 restaurants on site. Rollaway/extra beds are available for CNY 200.0 per day.